ERM Business Energy claims to be an expert in electricity generation, retail and energy management solutions, helping give Australian businesses a competitive edge by securing great deals on energy. 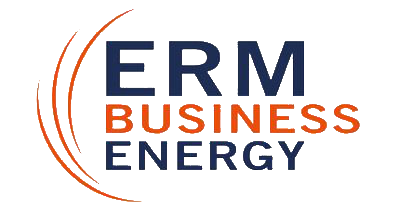 ERM Business Energy is a business-exclusive electricity retailer, managing the energy needs of businesses of all sizes across Australia. ERM says it is Australia’s largest business-only retailer and backs its customers with 30 years of experience in the Australian energy market. On top of its energy retail services, ERM provides a myriad of energy solutions to help businesses save. In this article, Canstar Blue takes you through everything you need to know about ERM Business Energy. As a business-only electricity retailer, ERM believes it’s well positioned to truly understand its customers’ electricity needs. It promises its customers accurate billing every time and is so confident in its service that it doesn’t charge small business customers any exit fees. Better still, there are no connection or disconnection fees – something few retailers can boast. ERM Business Energy says it believes in keeping things simple and transparent. It doesn’t provide electricity discounts, instead giving customers a straight forward price under two pricing options – fixed and adjustable. Fixed: You agree to an electricity rate with ERM that won’t change for the term of your contract. Rates on this deal are initially slightly higher, but could lead to savings in the long term since your rates won’t increase. Adjustable: You receive a slightly lower rate, however rates may be increased at any time by ERM. For a quote or tailored solution, contact ERM Business Energy or visit the website. ERM Business Energy, through its subsidiary LumaLED, delivers an end to end turnkey lighting solution. ERM carries out an onsite assessment to recommend the best LEDs for your workplace. Some of the industry specific lighting solutions include high beam lighting for warehouses, halls and factories, office lighting, shop display lighting, hospitality lighting, flood lighting and car park lighting. ERM says its LEDs last 10 times longer than standard florescent lamps and its lighting solutions have a payback period of only 2 to 5 years. ERM Business Energy has a web-based energy and emissions reporting suite called Greensense, which can be accessed on computer, mobile and embedded intranet or an interactive kiosk. With Greensense, customers receive real-time information on their energy usage, including any anomalies and where their business is wasting power. Power Factor is a ratio between real power (kW) and apparent power (KvA) and is used to measure how effectively your business uses incoming power. If your business is on a kVA demand-based tariff, then it could save you considerably to correct your power factor, as kVA demand-based tariffs are calculated on the apparent power supplied to a site (kVA) rather than the real power used (kW). ERM Business Energy provides a suite of energy correction services which it says will guarantee a minimum power factor of 0.95. ERM Business Energy operates a Demand Response Program, rewarding businesses that substantially reduce their electricity usage at peak demand periods, or have onsite standby generation. Customers that sign up to the Demand Response Program will be on-call to respond to peak energy events and paid in return for reducing energy usage or exporting from onsite generators. In order to be eligible, the business must be capable of switching off or producing 250 kW within 10 minutes. ERM Business Energy conducts an energy assessment to identify the best solar system for your business and organises the installation through its partner, Solgen Energy. ERM also manages the approvals and applications for relevant government solar incentives and tariffs. Network charges can account for half of your power bill, so ERM says it makes sure you’re only being charged the actual cost to deliver electricity to your premise. ERM Business Energy says it analyses 12 months of its customers’ actual usage data and matches this against the eligibility rules for different tariffs, to make sure your site’s network charges are as low as possible. When the assessment is complete, ERM will send you an email to highlight opportunities or confirm you’re on the correct tariff. ERM Business Energy says it’s always looking for new technologies to help Australian businesses reduce their power costs. Not only does ERM invest heavily in research, it also deploys a number of practical energy saving solutions, like heat reflective roof coatings, HVAC smart emotes and non-essential load controllers. Is ERM Business Energy right for my business? ERM Business Energy is confident in its product, but every business is unique and whether ERM is right for your premise will ultimately come down to a case by case assessment. ERM isn’t quite like other retailers – it doesn’t just supply electricity to your business – it tries to make its customers energy smart. If you’re unsure about ERM Business Energy, you can send in your bill to receive a quote. If you want to compare other options, check out our small business energy customer satisfaction ratings.